Ultrafine mill (also called SUPER THIN GRINDING MILL) works to grind fine powder and micro powder. 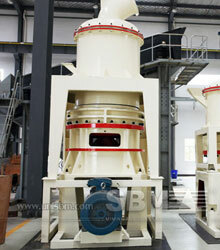 For almost 30 years, SBM has being specializing in all facets of grinding mill design and maintenance. Especially to SCM series ultrafine mill, it’s growing more and more popular with its reliable technology and perfect after-sale services. SBM ultrafine mill is specially designed for super fine powder grinding. SBM is a progressive China-based enterprise. The feed size to ultrafine mill is limited to the maximum size that can be practically conveyed and introduced into the mill. This ultrafine mill can be installed directly as the only powder grinding equipment in the whole grinding plant or it can be used as further-grinding machine after ball mill grinding or coarse powder grinding. Currently SBM undertakes around hundreds of grinding plant each year. With its growing perfect services, SBM will be able to provide a unique end-to-end solution including products maintenances. In the Misima project, SBM has supplied jaw crushers, cone crushers, grinding mills and vibrating screens for the ore crushing, grinding and screening. 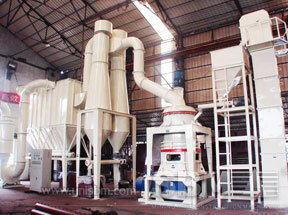 "We are glad to choose SBM’s crushers and mills in our project. The whole process goes very smoothly with higher production." This project, located in Kendal opencast coal mine of Witbank, South Africa, is developed by Homeland Mining & Energy SA (Pty) Ltd. Witbank is about 100km east of Johannesburg and the coal mine is 6km west of the town of Ogies, in the Mpumalanga province, and about 2km north-east of state utility Eskom’s Kendal Power Plant. The Kendal plant is designed to handle about 6,000t of coal per day. All the coal will be crushed and screened, generating the run-of-mine product. It uses the SBM scm ultrafine mill as coal grinding mill to meet the requirements of capacity. Costomer: Homeland Energy Group Ltd.
"In Kendal coal project, we have purchased SBM’s coal crushers, mills and its washers. The performance is proved to be so satisfactory that we hope there will be cooperation again in the near future."